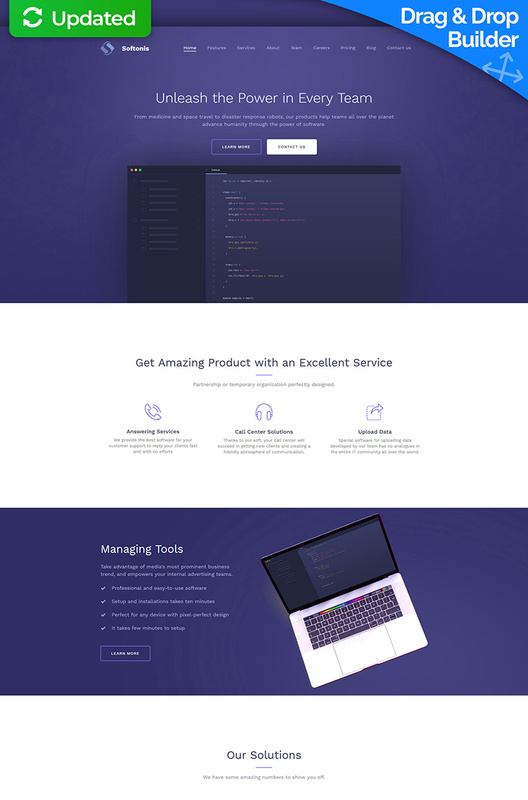 Short description: Software Engineering Moto CMS 3 Template is designed in violet colors that are pleasant for the eyes. Layout sections of the web page are visually separated from one another. This creates the feel of harmony and order on the web page. Content area telling the visitors about company services comes with simple icons that explain the text. Company solutions are shown with the help of numbers, which makes them easier for perception. You can embed a video and make a quick engaging demonstration of your products/services. Customers' testimonials featured in slider will raise trust to your company. 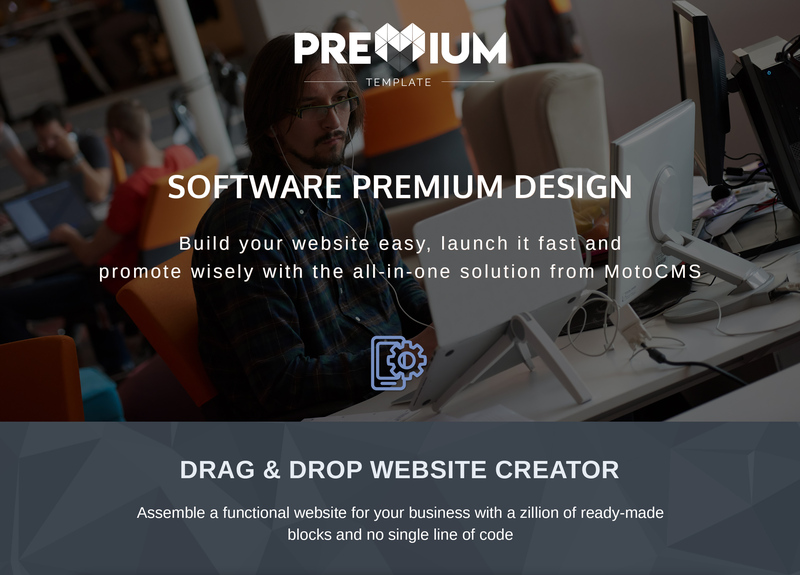 Give your customers the possibility to choose from three available pricing plans. They will be grateful to you for not overwhelming them with unnecessary information. 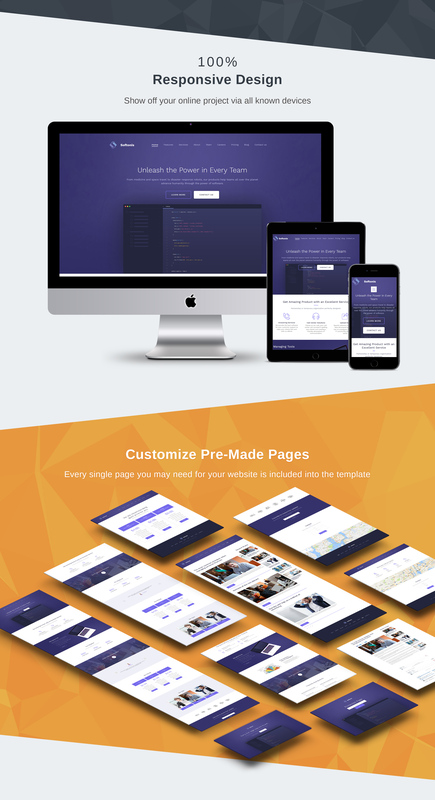 This this theme is a smart choice for your website!